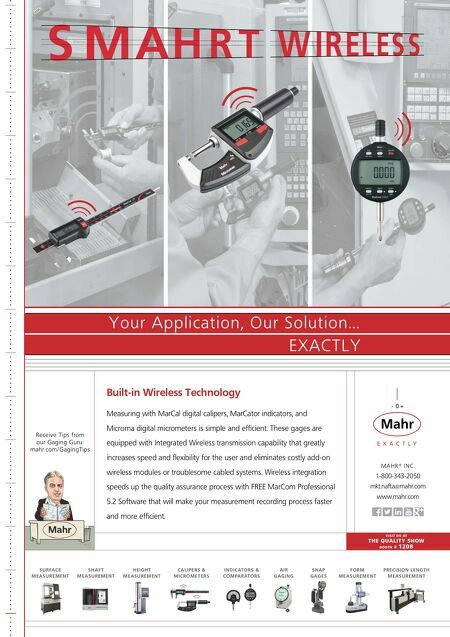 94 MMS October 2017 mmsonline.com BETTER PRODUCTION Shops Using Technology LIE-NEILSON TOOLWORKS PROBLEM Needed to increase throughput while maintaining quality SOLUTION 10 VF-2 VMCs, 3 TR210 rotary tables and an ST-20 turning center with bar feeders from Haas RESULTS 10 to 15 percent increase in capacity E D ITO R E M I LY PRO B S T, e p r o b s t @ m m s o n l i n e.c o m Machines with Rotary Tables Increase Productivity While Maintaining Quality BY J U LI A H I D E R W hen a company experiences growth, it can also face new challenges. Such was the case when a manufacturer of woodworking hand tools needed to find a way to increase its through- put while maintaining the quality of its products. "We were tr ying to get larger batches. 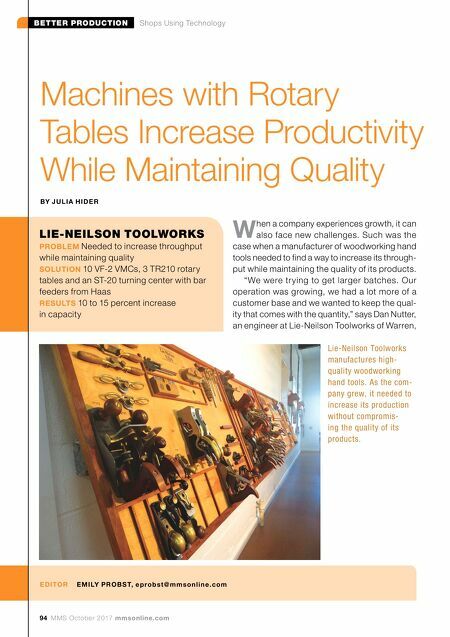 Our operation was growing, we had a lot more of a customer base and we wanted to keep the qual- ity that comes with the quantity," says Dan Nutter, an engineer at Lie-Neilson Toolworks of Warren, Lie-Neilson Toolworks manufactures high- quality woodworking hand tools. As the com- pany grew, it needed to increase its production without compromis- ing the quality of its products.